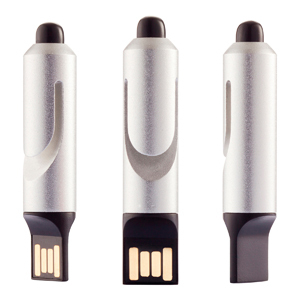 Aluminum 2.0 memory flash drive with enough capacity to store all your important files. The integrated clip makes the touch pen convenient from any side. Registered Design® Supplied in retail packaging.